No matter where your kids attend school - at home, parochial school, public school, charter school - at the end of the day there's nothing better than an after-school snack*. A few years ago Deme shared a recipe for Chocolate Oatmeal Cookies as one of her family's favorites for a snow day. Despite how not good they looked I tried the recipe, because I am a huge fan of Deme's and want to be like her when I grow up. People: shut the front door - they are so good! They are easily in the top two of my husband's favorite cookies of all time. 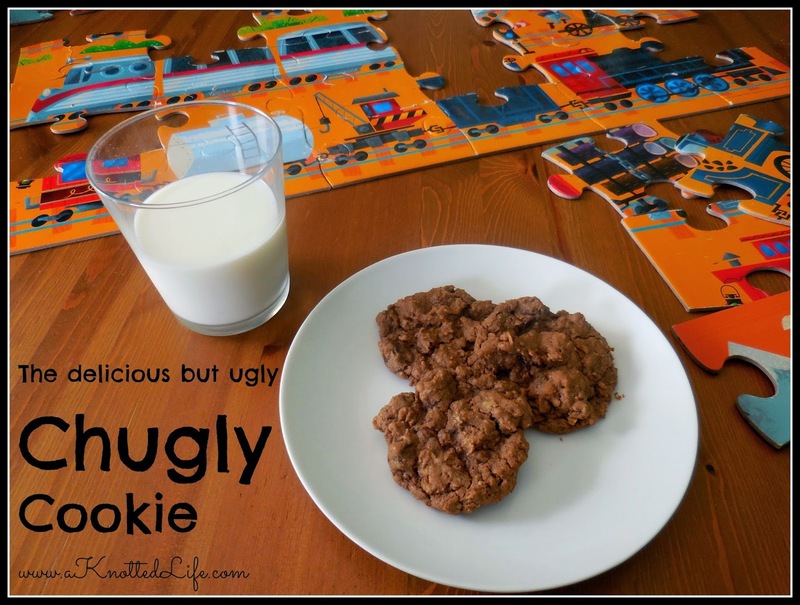 I renamed them Chugly Cookies because they're Chocolate and Ugly and I think it sounds more exciting than Chocolate Oatmeal. PS - If you don't want the cinnamon in them it can be omitted but we like the extra layer of flavor it gives the Chugly. *I'm talking about for YOU! I mean, the you can share with the kids but let's get you some chocolate! Stat! Haha I love the cookie nickname! That sounds yummy! I love chocolate and oatmeal together.